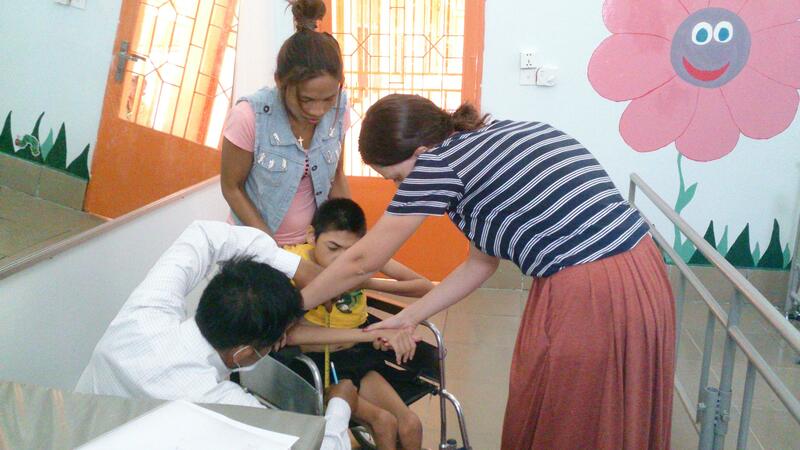 Join us on a Physiotherapy internship in Cambodia and gain practical work experience while helping treat patients with disabilities, diseases, or HIV. This is a great opportunity for you to add to your CV and give back at the same time, which could help your future career. There are a large number of disabled people in Cambodia and the funds and resources needed to treat them are extremely limited. The rehabilitation centre where you’ll be placed helps care for people with disabilities. You’ll work here alongside local physiotherapists. They’ll be there to guide your work, and you can exchange medical knowledge. 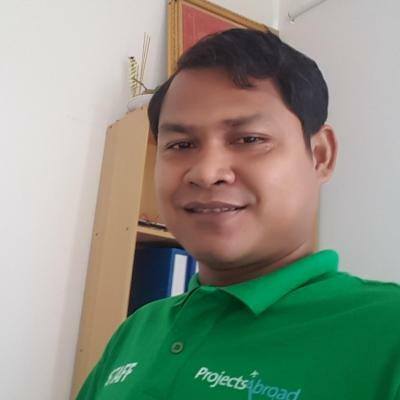 You’ll live and work in Phnom Penh, and stay in a shared apartment with other interns and volunteers. 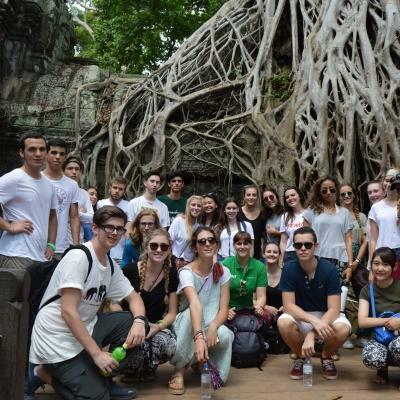 Make the most of your time in Cambodia, and see and do as much as you want in your free time! Is a Physiotherapy internship in Cambodia right for me? Do you want to gain more practical work experience in the physiotherapy field? Are you eager to travel and experience life abroad? If so, this project is a great fit for you! 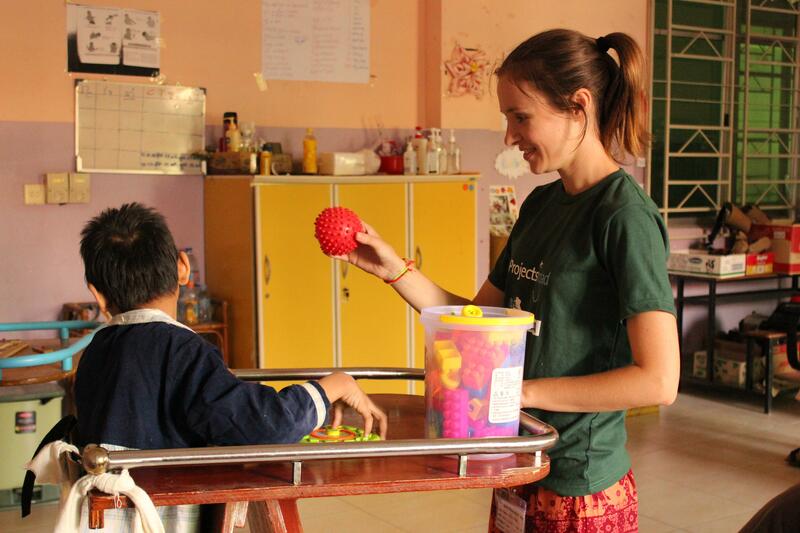 Our Physiotherapy internship in Cambodia will allow you to build your CV . This is an ideal opportunity for a young professional. You will be able to practice what you’ve learnt and develop new skills under supervision. You’ll also learn to think out of the box, and how to adapt to a different environment. In addition, you’ll be using your skills to help where it’s needed most. You need to have completed at least one year of physiotherapy related studies or training to join. If you have questions or need guidance, you can reach out to Projects Abroad staff at any time. The internship is open year round, and you can join at any time for a minimum of two weeks. 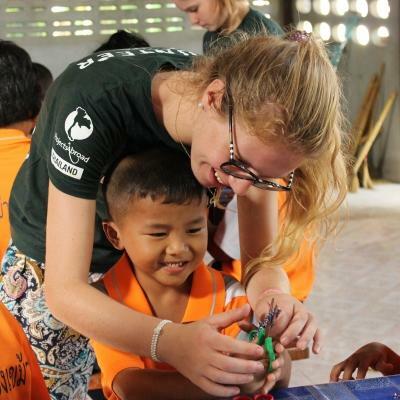 We do encourage you to stay longer so that you can make a bigger impact and learn more during your physiotherapy work experience in Cambodia. 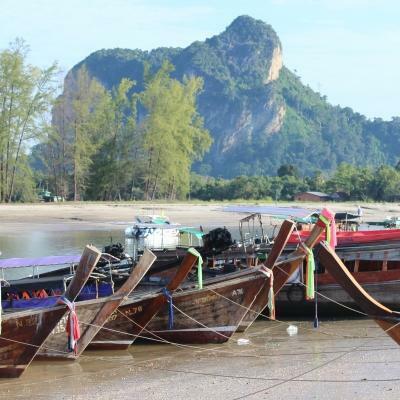 What will I do at my Physiotherapy placement in Cambodia? You’ll be placed at a rehabilitation centre in Phnom Penh. 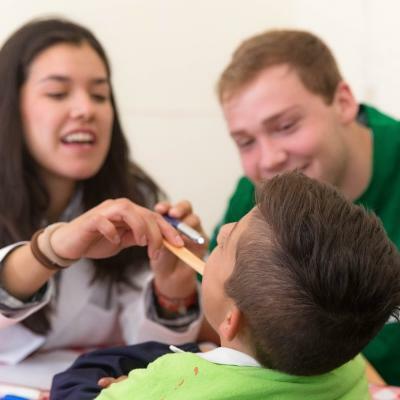 Here, you’ll treat patients with disabilities or diseases such as cerebral palsy, stunted growth, and epilepsy. You may also work with people affected by HIV. You’ll also shadow experienced physiotherapists and assist local staff with daily care duties. Your goal is to increase your patients’ quality of life through treatment. You will also work alongside our partner organisations to help patients develop so that they can become more independent. Keeping up to date with note taking and case files is essential. Future interns need to have a reliable record of what has been done as well as each patient’s progress. If you have completed one year of your studies, you will have assistance from a qualified physiotherapist. If you have completed two years or more of your training, you will complete this documentation yourself. Although there are trained local physiotherapists in Cambodia, many caregivers lack the knowledge needed to treat the patients at the centres correctly. Throughout your internship, you will help by sharing your knowledge and professional skills with these staff members. This will better equip them for caring for the patients. You’ll also be able to share new treatment techniques and knowledge with local physiotherapists. There are a large number of disabled people in Cambodia and the funds and resources needed to treat them are extremely limited. This means that the rehabilitation centre might not have all of the equipment and resources that you’re used to working with at home. You will need to think out of the box and create practical, low-cost alternatives wherever possible in order to achieve the desired results. You will be placed at one of three rehabilitation centres in Phnom Penh where you will work with adults and children that are living with a variety of conditions. You will be placed according to your level of experience, as each placement has different needs and requirements. Situated on the Mekong River, Phnom Penh is the capital city of Cambodia. Renowned for its architecture and friendliness, this vibrant city is home to plenty of markets, restaurants, and attractions. It’s a popular tourist destination. On working days, you will travel to and from your placement via tuk tuk, which is a large motorised tricycle. 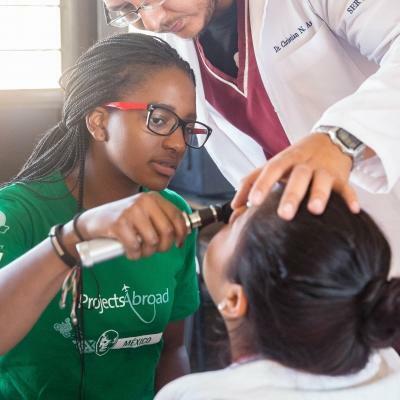 Your transport to and from your placement is provided and paid for by Projects Abroad. You’ll work from around 8.30am to 11am and then again from 1.30pm to 4.30pm. In between your shifts, you can head back to your accommodation for lunch. Alternatively, you can bring a packed lunch along with you to work. During work hours, you will shadow other physiotherapists and help treat patients. You’ll also write up treatment plans and patient files. If you have the experience, you can work with local staff to improve their skills. At the end of the work day you’re free to relax. Explore the city, stroll through a market, or go out to a restaurant for dinner. Alternatively, head back to the shared apartment and get to know your fellow interns and volunteers. The aim of this project is to give disadvantaged adults, children and babies in Cambodia the physiotherapy treatment they need. Many people living with disabilities and diseases in Cambodia cannot afford treatment. This means that a large number of patients don’t receive the support and healthcare that they need. Having you on board means that we can improve quality of life for more people. Help us achieve these goals by joining our Physiotherapy internship in Cambodia.